Should I Use the Listing Agent When Buying a Home? Contacting the listing agent directly is one of the WORST mistakes you can make as a buyer. Put it this way, if you were being sued in civil court, would you use the same lawyer representing the plaintiff? Of course not, you would hire a hotshot lawyer from the best firm you could afford to defend your best interests. So, why would you use the same Realtor who owes fiduciary duties to the seller of the property? 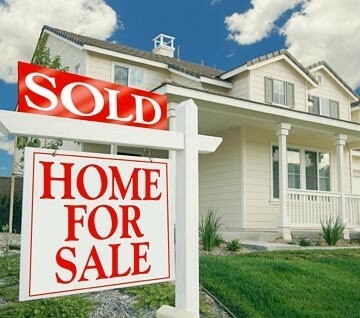 Remember, any real estate agent can show you a home with a sign on it from another agency. Just because the sign says, “Acme Real Estate” it doesn’t mean only that company can show you the home. Find your Realtor before you begin your home search. Then if you go to an open house or run into a listing agent, let them know right away. Tell them, “You’re WORKING with a Realtor.” Hopefully, your agent gave you some extra cards. Hand the listing agent a card. At that point, they should respect the relationship you have with your Realtor. If they don’t they are likely violating ethical obligations. Politely let them know that any offers you decide to make will come through your real estate agent. Deciding on your Realtor ahead of time, ensures that you will be represented by an agent who looks out for your best interests and assists you in getting the best deal possible. When the deal comes together, your real estate agent is paid half the commission the seller is offering and the listing agent is paid the other half. During negotiations, the two Realtors will do the back and forth talk and paperwork. You deal directly with your Realtor at every point. You never speak to the listing agent. This gives you maximum distance from the seller, which is ideal for keeping emotions in check and sticking to your guns when it comes to price. At White Sands Realty, we work with buyers from around the US and the world. We do the leg work of contacting the listing agent, showing you the home and provide you details like days on the market in the listing history. It’s seldom an easy process these days, but we love what we do and we take great pride in finding our buyers the best deals on Naples FL homes for sale around. This is the perfect way to break down this ifronmation. I never realized how vitally important it is to use your own agent because they are looking out for your best interest, versus using the listing agent who I have no relationship with. Thanks for the warning Mark!